World’s fastest-acting soil penetrant, Penterra, best turf colorant, Endurant, and other sustainable turf management products now available across the U.S. with the partnership of Geoponics and West Coast Turf/ Western Sod sister company, Foster-Gardner. Geoponics’ news also seen in Golf Course Industry Magazine here and in Lawn and Landscape here. California (July 12, 2013) – Geoponics is proud to announce the recent partnership with Foster- Gardner, Inc. in Southern California. Foster-Gardner, Inc. and its sister company, West Coast Turf/ Western Sod, have a long history of serving the turf industry. Geoponics is known for providing soil surfactants and natural-looking, cost-effective turf colorants. West Coast Turf along with Foster-Gardner are names synonymous with quality turf products and service. Together, these companies provide a powerhouse of turf and turf care products—now providing more service to the Coachella Valley and surrounding areas of California. “We are very pleased to be teaming up and working with Geoponics and their line of quality products. Our goal in working with our clients in the turf market is to bring them products that are innovative, solve problems and add significant value while at the same time make good business sense. Geoponics brings all of this and more by giving the end user a truly sustainable approach to real turf management. Thank you Geoponics,” said Tom Foster of Foster-Gardner. Florida-based Geoponics joining with California-based Foster-Gardner will help these sustainable products span the country from the East Coast to the West Coast of the United States. 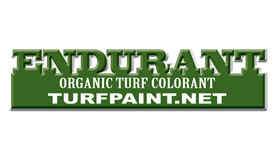 “We are most excited about offering our high quality, very competitively priced organic turf colorant— Endurant—to this area with the well-respected support of companies like West Coast Turf and Foster- Gardner,” said Jennifer Seevers, Geoponics Colorants Division Manager. 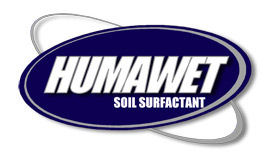 In addition to providing the Endurant line of long-lasting colorants for turf, mulch and pinestraw, Geoponics and Foster-Gardner are excited about offering the world’s fastest-acting soil penetrant, Penterra, along with the all-natural moisture management action of HydraHawk and the moisture retention of Humawet to the area. 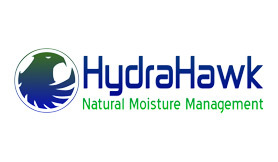 Water is one of the most expensive and increasingly limited resources, and, these products, with the service from Foster-Gardner, will offer the golf courses, landscapers, athletic fields and residential areas of Southern California an opportunity to best handle all of their water management needs. Many Southern California turf experts have been enjoying the benefits of Geoponics products for years— now they’ll also get them with the exceptional services provided by Southern California-based Foster Gardner. Bob Vaughey CGCS of Rolling Hills Country Club in Palos Verdes, Calif., was pleased to discover all of the benefits of Penterra as a professional soil penetrant. “With our heavy clay soils and poor water quality, Geoponics’ Penterra (Penterra.net) has allowed us to effectively leach salts through our soils and grow healthier turf with less inputs. Penterra has proven an invaluable yet cost-effective tool for us and the golf course,” Vaughey said. Geoponics’ Endurant Turf Colorant has been equally valued on the West Coast. For example, PGA West knows where to turn when they’re showing off their course on national television. The golf course in La Quinta, Calif. has used TV-readiness Endurant for the past two winters, giving it a wow-factor for players and viewers of the Golf Channel Am Tour National Championships. Jon Maddern, CGCS of PGA West, first used Endurant (TurfPaint.net) on the Palmer Private Course along all of the pond edges that were weak due to birds eating the overseeded ryegrass, he said. “We found this product worked extremely well in blending with the quality turf we had nearby—so much so that you couldn’t tell we had used Endurant,” Maddern said. It was easy to use and economical, he said. “The very telling points were during the TV coverage of the Humana Challenge. The camera could not pick up a difference either. Once we started using this product and had success around our ponds, we used it in other weak areas on the course that were in play,” Maddern said. For more information about Geoponics products and services available through Foster-Gardner, contact (760) 398-6151, or, contact Geoponics directly at 1-877-ECO-GROW (1-877-326-4769). Join us on Facebook and Twitter. Watch us on You Tube. Subscribe to Geoponics TV. Subscribe to our email newsletter.